﻿You may wonder what detectable warning surfaces are and how they work. Detectable warning surfaces are unique, textured tiles that provide a physical warning that a person is nearing an area that is dangerous in some way. 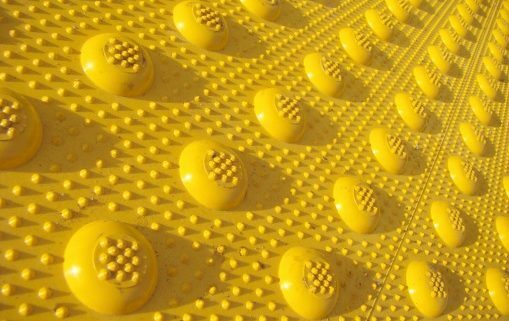 Sighted individuals may recognize these panels as the bumpy, often yellow tiles that line the curbs of public roads and the edges of rail and subway platforms. These surfaces indicate to the visually impaired that they should use caution, guide them along a safe path, and provide a textured area for good traction. Tactile panels can be made from a variety of materials, but ADA Solutions’ tactile warning surface tiles are crafted from a reinforced fiberglass, carbon, and homogeneous glass composite material for superior durability. Our tiles are also manufactured in a variety of colors for different applications and contrast needs. 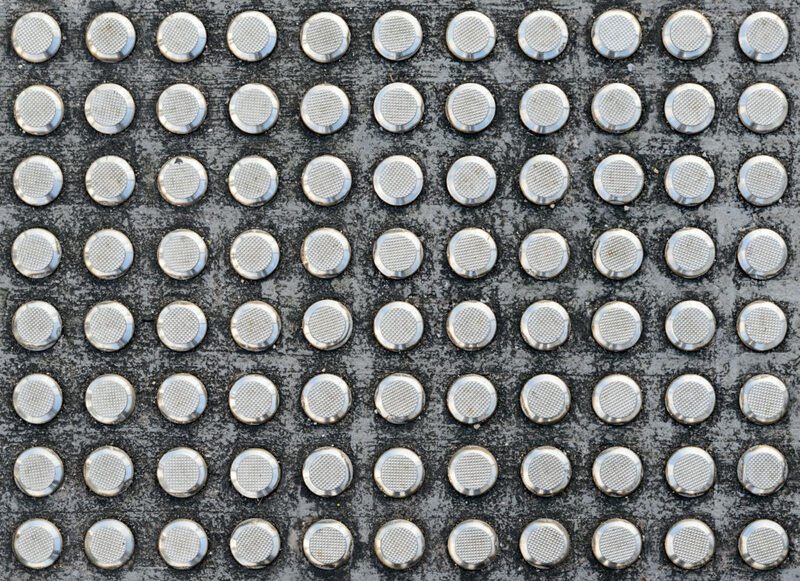 Because those who are in some way visually impaired cannot see potential hazards as a sighted person can, the unique texture of a detectable warning surface provides the physical feedback that their eyes cannot. ADA tiles also save lives by providing a slip-resistant surface that prevents individuals of all ability levels from slipping and falling in slick areas. At one time, the height difference between roadways and curbs was more pronounced, giving impaired individuals a fairly strong indication of where it was safe to walk. Many curbs have now been lowered significantly, in large part to reduce the tripping hazard posed by tall curbs. As an unintended consequence, however, this has made it more difficult for those with limited or no vision to determine where the edge of the roadway begins. This new hazard makes using detectable warning tiles more important than ever. The accessibility guidelines set by the Americans with Disabilities Act (ADA) are intended to make public and private spaces safer and more accessible for those with various physical and mental challenges. In addition to keeping people safe, obeying these guidelines also protects you as a property owner from facing costly accident lawsuits. ADA accessibility guidelines require that all transition areas (e.g., sidewalk curbs, edges of railway platforms, etc.) have textured warning surfaces that can be felt with the feet through the soles of most types of shoes. These surfaces must also be a color that contrasts sufficiently with the surrounding area so that they can be easily seen by those with some level of vision. ADA Solutions’ detectable warning tiles feature easy to feel truncated domes and high-contrast color options to meet ADA accessibility guidelines and protect those at risk. 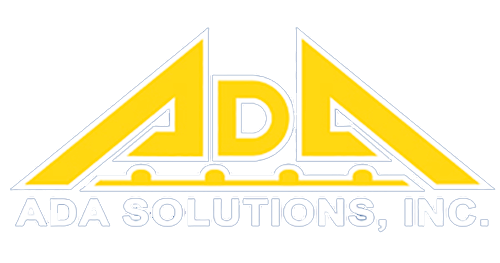 Whether you need to update an old property to meet legal accessibility requirements or simply need to replace old, worn surfaces with new materials, ADA Solutions’ can help. Our durable, slip-resistant tiles are available in cast-in-place, surface applied, and replaceable options to suit any customer need.